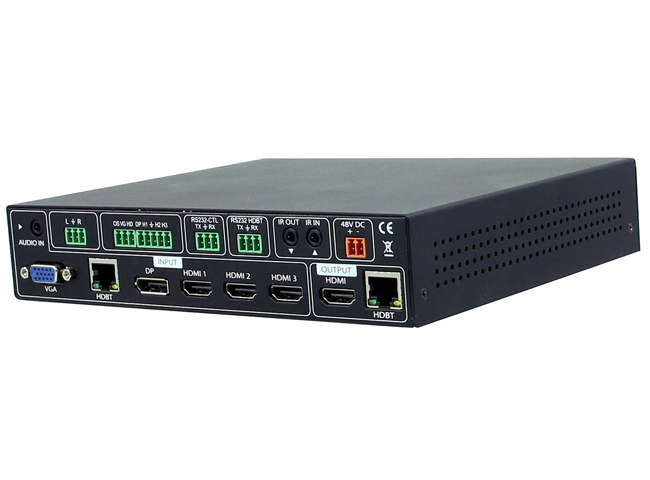 AVPro Edge AC-SW62-UHD Multi-Format HDBaseT Classroom/Conference room Matrix is a robust multi-format matrix switch designed for small offices, classrooms and conference rooms. 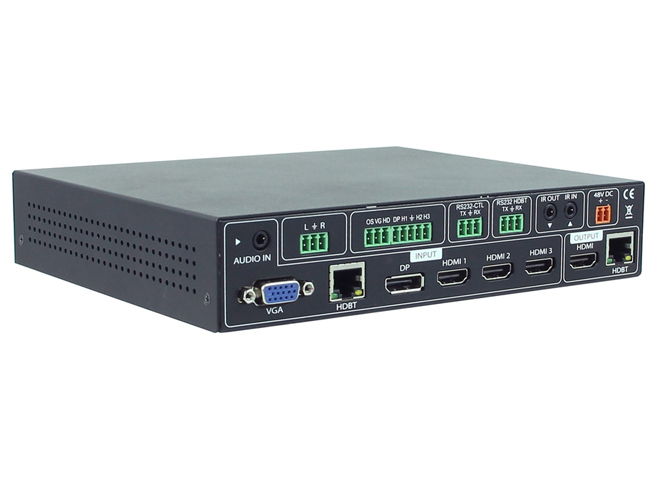 This 6x2 matrix is designed to be an ALL-IN-ONE solution for the active office allowing for multiple input types, including HDMI (x3), VGA, DisplayPort. 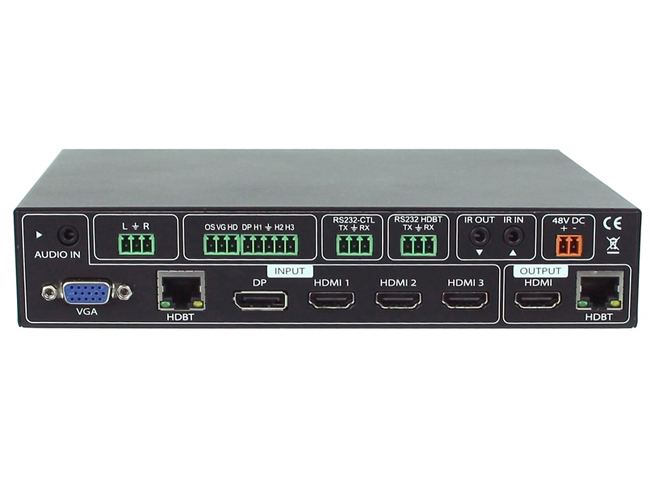 In addition to the local inputs, it has a HDBaseT input that is compatible with the AC-EX100WPP-UHD so you can use a Wall Plate Transmitter from anywhere in the room, or a separate room all together! ULTRA HIGH DEFINITION: This unit supports 4K resolutions for today's modern office. As displays get larger and PC's output more 4K content, 4K is ever more necessary in this environment. Utilizing high resolution allows the user to share higher quality marketing and draft images and makes presentations sharper and view-able for larger audiences. DISTANCE: By using AC-EX100WPP-UHD-T, the transmission distance for HD 1080P is 100 meters (330ft) & 4K is up to 70 meters (230ft) into the matrix! You can additionally go 70M (230ft) on 1080P, 40M (131ft) on 4K from the HDBaseT output to a display. AUTO SENSING: This matrix is designed to be a "Set it & forget it" piece of hardware. When the user plugs in their device (BYOD), the matrix automatically senses the signal and makes it active. If more than one inputs are in use, there is a simple button on the front to toggle inputs for each output. CONTROL: Simple front panel control, IR and RS232 control is available. POWER: The EasyStreet is capable of powering both the HDBaseT input device or transmitter (AC-EX100WPP-UHD or AC-EX100-UHD-T) as well as the HDBaseT receiver (AC-EX70-UHD-R). 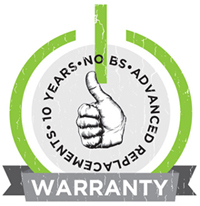 This eliminates unnecessary power supplies and cleans up the installation dramatically. MULTI-FORMAT: The Multi-format design allows you to leave this "in-room" matrix comfortable without having to supply a plethora of adapters. You have input options for VGA, DisplayPort, and 3x HDMI. In addition if you use the AC-EX100-WPP Transmitter, you have another HDMI and VGA input. Why not buy this AVPro Edge AC-SW62-UHD Multi-Format HDBaseT Classroom/Conference room Matrix today?